I developed this schematic to outline all the regional players in economic development and planning in Metro Detroit. 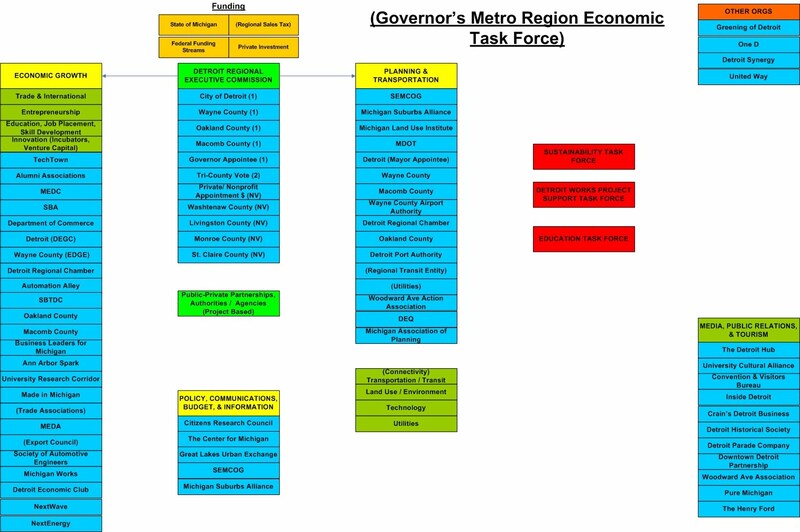 While the Governor may have his own idea for how to bring the many entities in our region together behind a comprehensive plan for economic growth and sustainability, I thought I would take a shot at it anyway. Of course not every stakeholder is captured in this schematic, so I apologize and encourage you to speak up in the comments area if you see a group that is missing.